Sometimes, I just let them fight it out. It’s interesting to note, however, that the one that is yellow and green (which, coincidentally is the Packer color scheme) ends up on the floor most mornings. 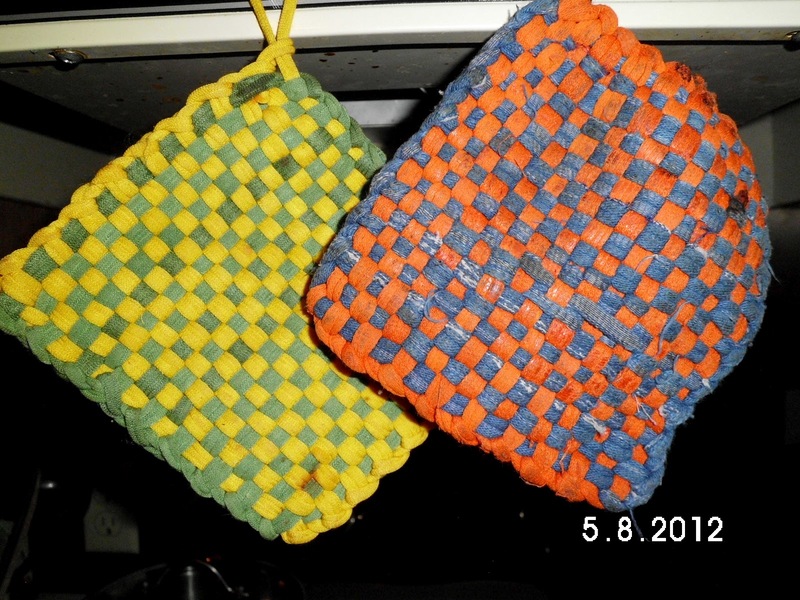 the Bears potholder like to be in front, too.